We’d love your help. Let us know what’s wrong with this preview of Escape from Exile or Confusion and Contraction or How to Get Out of Hell by Teel McClanahan. Book Three picks up from the same instant that Book Two left off: in Hell. It is primarily concerned with the boy's attempts to free his companions from eternal damnation, but has a few twists and turns that will leave you wondering what really happened. Imagine Nicholson Baker crossed with Dan Brown and J. K. Rowling; this is detailed, captivating, mind-blowing fantastical serial fiction for adults. It is recommended that you read Book One and Book Two before reading Book Three. 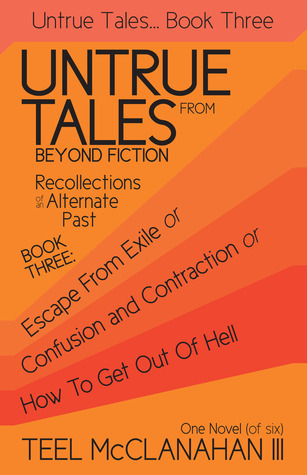 To ask other readers questions about Escape from Exile or Confusion and Contraction or How to Get Out of Hell, please sign up.